We couldn’t care less if there was a snowstorm in Ljubljana during the last week of April, for us the May Day holidays will always mark unofficial beginning of the season, which means it’s already time once again for our annual Best of Summer in Ljubljana poll. As in past years the headliners of the 2016 competition include the best summertime attractions and activities, and we’ve once again brought back multiple categories for best terraces (namely restaurant, café and bar/pub), as well as our sweetest category to find out who serves the best ice cream in the town. New categories include a diverse selection of the best tours in Ljubljana, and as much as we detest the word and strongly feel that selfie sticks should either be banned completely or heavily taxed, you can also now vote for the places in the city for taking self-indulgent vanity shots for your social media pages. And last but not least, there’s our shortlist of the best concerts in Ljubljana taking place between last May and early September, which range from Yugo legends and contemporary Slovene rockers to American punk, grunge and hip hop to whatever exactly it is that Alice Cooper does. 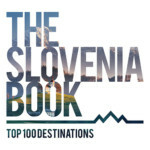 Voting in the 9 categories below was open from 11 May till 10 June, and the results were published in the July 2016 issue of our Ljubljana In Your Pocket guide. Congratulations to all the winners and top finishers, and a big thanks to everyone who voted and helped us share the poll. If you have any questions or comments, feel free to email us at ljubljana@inyourpocket.com.